The Certificate Program in Holocaust Studies is a four-course, interdisciplinary certificate program open to undergraduate students in Northwestern undergraduate degree programs. This certificate allows students to study the Holocaust of European Jewry from a variety of disciplinary perspectives. The Certificate Program in Holocaust Studies is administered and awarded by the Holocaust Educational Foundation of Northwestern University (HEF of NU) in consultation the Certificate Committee, which is composed of faculty who offer core and elective certificate courses. In order to be admitted to the certificate program, students must fill out an application, including a plan of study, and meet with the Director of HEF of NU. Students who have already completed Holocaust-related courses can retroactively apply to count those courses towards the certificate. The certificate will be awarded once a student has completed all requirements. Please contact Sarah Cushman, Director of HEF of NU at hef@northwestern.edu. To receive the certificate a student must earn a satisfactory grade (at least a C-) in 4 courses: the History of the Holocaust (HISTORY 349-0); 2 Holocaust Studies electives; and 1 Context Course elective. These 4 courses must be distributed between at least 2 departments or schools. All certificate students will be required to take History of the Holocaust in order to complete the certificate. This course will provide students with an in-depth analysis of the Holocaust as a historical event. This course is offered every academic year. 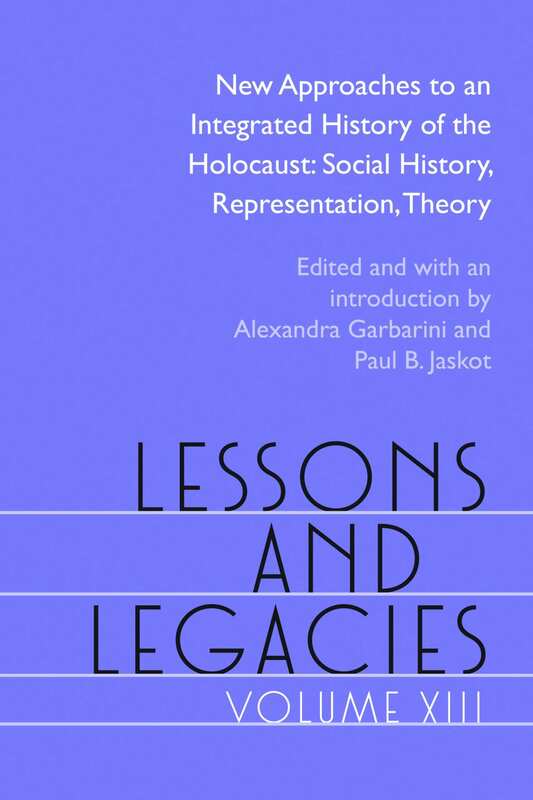 HISTORY 392-0 – The Holocaust and Memory in the U.S.
A list of the current Academic Year’s course offerings can be found here. Students choose a course about Jewish culture, philosophy, or religion in pre-WWII Europe. At least 2 of the 4 courses must be at the 300-level or above. At most 1 of the 4 courses can be completed outside Northwestern. Certificate students are required to attend the annual HEF lecture each spring. Students submit a two-page response paper to hef@northwestern.edu within two weeks of the lecture.